Hi ya everyone! 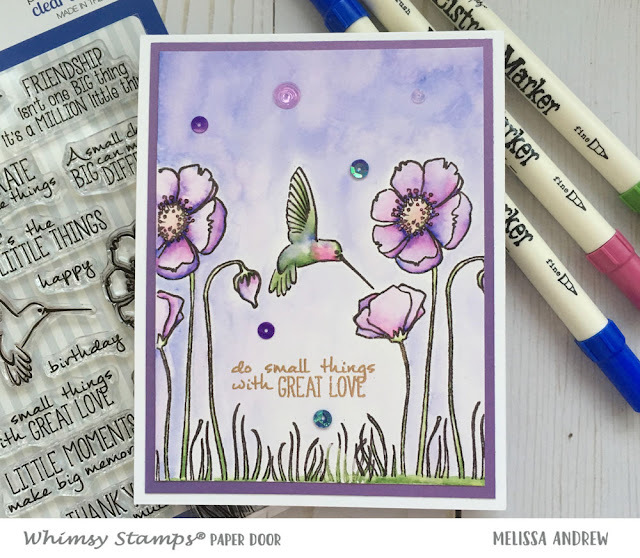 I'm super excited to tell you the next Paper Door Kit is now available at Whimsy Stamps! I love this months kit. The stamp set and the papers...wow luscious. I created this card using a watercoloring technique. If you purchase the Paper Door Kit you will receive the technique video I created to help you make the card you see above. Here's a quick peak at what's in the new kit! Depending on your home, here are the links for the kit!